- If your question starts with the phrase “Will we ever…” it’s pretty much out of the running right from the beginning. From “Will we ever see the Flood return?” to “Will we ever see Chief die?”, if you are asking us to essentially give something away, you can bet we are going to avoid it. And really, isn’t that better for everyone? We want fans to experience the stories in the best ways possible, complete with twists and turns that hopefully you might not always see coming. - Trying to pin down absolutes is also something to avoid. “Are all/is every one of the _____ dead/destroyed/vanished/retired/etc?” Questions that try to corral things into a corner are a slippery slope that we’d all best avoid. - "When is *game/book/comic* coming out? Will there be equipment abilities in Halo 9: Definitive Anniversary Remastered GOTY Edition? Will SWAT come back?" This is more for Canon Fodder specifically, but just to be clear, answering pretty much anything gameplay related is always going to be off the table for this particular platform. Those are just a few helpful hints we can suggest to give your question a better chance to get answered. Sometimes though, it really does just come down to time. Or running out of sweet tea. Q: How was the present personal Thel 'Vadam's sword, the Prophets’ Bane, modified or crafted? A: There were (and are) various models of energy sword, the most ubiquitous designs be the more widely-produced models created in Covenant assembly forges. There are however, a healthy number of personalized designs that are more singularly crafted by master swordsmiths. Q: The rank of Zealot has been very inconsistent throughout the franchise, with Zealots being entirely Yellow in Halo: Combat Evolved, Yellow and Khaki in Halo 2, and Crimson in Halo: Reach. With recent additions to canon seen in Broken Circle and Halo 2 Anniversary, the former introducing a new rank/title of Field Commander, and the latter changing the uniform once again to Yellow and Black, I'm wondering if some of these changes are entirely retcons of previous designs, or that the uniforms we've seen over the years are indicative of different positions or titles. A: Zealots are a military order with their own internal structure and rankings that varied from fleet-to-fleet and even chapter-to-chapter. Q: What are the origins of the stone structures seen on Installation 05? A: Human xenoarchaeologists continue to analyze artifacts recovered from Delta Halo and Gamma Halo, though on-site work was stymied by the lack of debitage, as well as maintenance/conservation efforts of local Sentinels. Q: Can a Smart A.I. truly alter or choose it's Avatar? The only example's I've seen were BB and Mack/Loki changing their Avatars. A: All smart AIs have a holographic avatar that they use for interaction. The image created by the AI to represent itself seem to be drawn from the emotive responses at the base of human behavior, and are almost universally male or female human in various form of costume. However, some do take on abstract forms, with rare examples appearing as geometric objects or silhouettes with perhaps one or two key human features, like a mouth or eyes. These avatars are then customized after achieving full consciousness, but Smart AIs find it extremely difficult to substantially alter their original appearance. The reason that AI systems choose these avatars, are motivated to display them during interactions with humans, and cannot easily change them is not well understood; attempts to eliminate this behavior have resulted in catastrophic failures and personality aberrations. Q: Since the Halo 2 Multiplayer maps have now been made canon (i.e. District, Headlong, Ivory Tower, and Turf), I've got to wonder: Are all of Halo's Multiplayers now canon, or just the ones within the Master Chief Collection, and if so, are they all under the Anvil initiative? A: The War Games simulation map sets are most often based off actual locations and/or events, though map designers have the freedom to create nigh innumerable variations for the sake of research and diversified training. Anvil Station is equipped with War Games simulation facilities that can pull from whatever established map variants are deemed necessary by program officials. Q: Is the M145D Rhino still in active use post 2552? A: There are still some that exist, though their use was sporadic at best throughout the latter half of the war, in large part due to the lack of resources to put towards further development of the original prototypes. Since the end of the war however, the UNSC has begun looking into resurrecting various programs such as these, as the climate for reemerging development has improved. The M145D Rhino initiative in particular has become somewhat of a pet project for Isaac Richardson, one of the UNSC’s top procurement officers. Q: Has the Strident-class Frigate replaced other Frigate Classes following the Human-Covenant War? A: While the Strident-class represents one of the newest generations of vessels within the UNSC fleet, they should not be seen as a direct replacement for other frigate classes. Q: What was the fate of Luro ‘Taralumee and his fleet after OPERATION: WARM BLANKET? A: Luro ‘Taralumee is alive, and is still considered dangerous due to his zealous devotion to the Great Journey and adherence to Covenant ideals. In the wake of the power vacuum created by the San’Shyuum’s absence, ‘Taralumee has used his previous station within the Covenant in an attempt to consolidate power for ends still unknown. Q: When was Michael Stanforth, also known as "the vice admiral", born? A: Vice Admiral Michael Stanforth was born on July 3, 2486. “A man six years Dr. Halsey’s senior strode to the stage. His short silver hair looked like a steel helmet. His gait had a strange lope to it - what crewmen called “space walk” - from spending too much time in microgravity. He wore a simple, unadorned black dress UNSC uniform. No medals or campaign ribbons. Q: Was the Halo Bible detailed enough and planned far ahead enough that people who work for Bungie, who had worked on the Halo games and had seen the Bible, could have predicted the role the Didact and the Librarian would play in Halo 4? Predict the events of Halo 4? What exactly is the Halo Story Bible? Robt: For lack of a more romanticized description it is the ponderous collection of lies, damned lies, and half-truths from which the entire Halo Universe is constructed. It is the tome which informs core fiction decisions (and is in turn expanded by them). It is that indespensible cheat sheet that helps us keep all the stories we’ve told straight in our collective heads. Admittedly we have not always been the best at this (but I think we’ve been getting better). What’s the point of such a document? It’s not actually a Bible; Joe Staten calls it "a repository for good ideas," so what is it? Robt: Actually it’s both. There are plenty of good ideas and hooks and what not in there, but it is also used to educate our partners about specific aspects of the Halo Universe. Whether it is the naming convention of a particular alien species (or of a certain UNSC shipyard), the capabilities of any given weapon or vehicle (in the game or in the fiction, as these things are not always the same), or the motivations of each group or individual . For all intents and purposes, the same holds true to this day. While the Halo Bible does indeed include plans within plans for stories yet to be told, it is almost more accurately the nebula from which the stars and worlds of the Halo universe are incubated and eventually wrought into existence, hopefully to shine brightly and continue to bathe fans in the warmth of their tales for a long time to come. Q: What is the name of the frigate FFG-127, and what is the name and class of the DD-993? A: The FFG-127 – seen during the opening cinematic to Halo 3: ODST – was a Charon-class light frigate named the UNSC Chioglossa. The Chioglossa was crippled during the beginning stages of the Battle of Earth on October 20, 2552, as the crew tried valiantly to hold off the Prophet of Regret’s Fleet of Sacred Consecration. The DD-993 seen in The Babysitter (Halo: Legends) is the UNSC Kronstadt, a Diligence-class vessel that began its life as a much older CMA peacekeeping ship and not a mainline warship. It had been retired and mothballed for decades when the UNSC resurrected it from storage and retrofitted it for service during the war with the Covenant. Q: Is corporal palmer from the Halo: Evolutions story “Palace Hotel" Spartan Sarah Palmer? 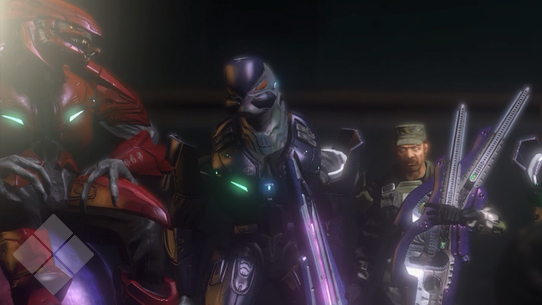 Q: Will the variations in Sangheili appearance and armor in the games be explained canonically? A: While more will eventually be discussed regarding this topic, we’ve touched on some of this on multiple occasions. Physiologically, the Sangheili encompass a range of various canonical phenotypes, with more pronounced variations having been seen in mandible and skull shape as well as skin texture. 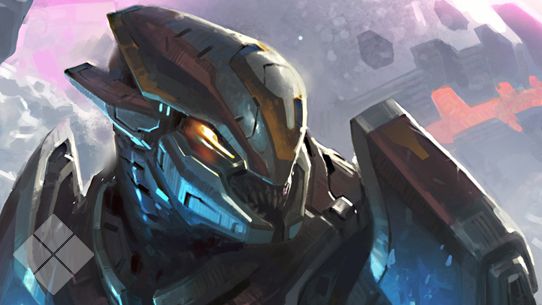 Sangheili armor is something we plan on discussing more at length, but the short answer is that armor can be found in an incredibly wide variety of styles and colorations, some designated for specific roles and mission objectives, while others stem from more hierarchal-based origins. For example, a Ranger’s combat harness can come in multiple variations, but it worn to perform a specific function. Other harnesses – and even colors to some degree - are more ceremonial in nature. Somewhat complicating the matter is the nature of Sangheili-derived livery choices versus the tendencies preferred by the Covenant specifically. Q: What is the size of the D81-LRT Condor? A: Here are the dimensions for the Condor. D80: Original model built on the D77C Pelican body. It's slipspace drive capabilities were limited, with transit times roughly double that of larger, more efficient, systems in use at the time. D81: Post-War model using more efficient slipspace drive and excess military D79 Pelican frames. The upper cockpit, which housed the weapons/sensor operator is often either stripped out or converted into VIP seating. D81WP: The WP (Weapon Package) variant is offered by Misriah Armory for sale to the UNSC, bonded paramilitary units, and planetary security forces. This variant retains the D79's dual autocannon turret. U81: Unofficial designation for refit Condors used by ONI for reconnaissance and surveillance. Outwardly indistinguishable from civilian craft, they incorporate an advanced electronic warfare suite, extensive passive sensor array, and military-grade slipspace drive. Occasionally classed as a "subprowler" due to its covert mission profile, despite lacking passive cloaking or sensor baffling coatings. Q: In games with an anniversary edition (CEA and H2A), should we take new graphics as canon over the older ones, one example being the Gravemind's massive overhaul. A: In most instances, the visuals depicted in an “Anniversary” edition should be taken as the definitive representations. The Gravemind as depicted in Halo 2: Anniversary is one such instance. Q: How did Jun-A266 escape Reach? A: While it is widely known that Spartan-III Jun-A266 – the only surviving member of Noble Team – is currently serving in vital capacities for the SPARTAN-IV program, the details of his survival and escape from Reach remain buried under fistfuls of black ink and red tape. Community is very important to every team at 343 Industries, and we always like to keep up with the thoughts and musings of passionate Halo fans. Sometimes we might see something being referenced that we realize might have been misunderstood or confused in its original context. Whenever possible, we like to clear things up in order to help fans gain better understanding about various details in the Halo lore. One such example was a reference to Chalybs Defense Solutions, and the conclusion that they had a facility located on Sedra. This stems from the Halo: Nightfall Second Story “Walk the Path”, which lets viewers peek in on an ONI appropriation protocol culling various outlets of interest in order to “listen in” (for a variety of reasons) when the need arises. Viewers saw an ONI datascreen (like shown here) that is scrubbing through various flagged defense contractors, corporations, and governmental agencies. In Walk the Path, ONI flags and peeks in on the AV footage of the Sedran Environmental Security agency. The important thing to note is that the listed organizations is but a handful of selected entities from across many systems, not just on Sedra. 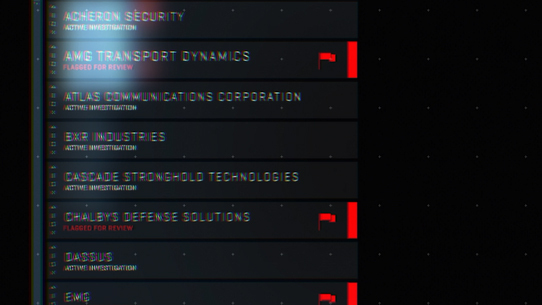 An organization showing up on the list seen in Walk the Path should not be taken to mean that each organization has a physical presence on Sedra. Hope that clears things up! You all have been keeping up with Benjamin Giraud, right? The 26th century war journalist and photographer has been at it more than ever this week, and meticulous fans have been catching on to more and more details. We’ll actually examine the entire #HUNTtheTRUTH campaign in a future issue of Canon Fodder, but for now, I’d encourage lore-loving fans to keep a close lookout. There are quite a few special little moments hidden throughout each episode, including one particular revelation that stretches all the way back to the “Starry Night” trailer for Halo 3. In Episode 01, Giraud interviews a woman by the name of Ellie Bloom, who was a childhood friend of the Master Chief when he was simply just “John.” If you haven’t checked it out yet, I highly recommend you do so, and get ready for even more content coming up soon. Keep hunting! And with that, we close for another week. Stay vigilant and continue to #HUNTtheTRUTH, and tune in next week for another dose of lore love. Until next time… Live well, play Halo, and never use Needler rounds to play pin-the-tail-on-the-anything. NEW & UPDATED UNIVERSE ENTRIES THIS WEEK! The Falcon is a versatile, multipurpose utility aircraft used primarily by UNSC Army units. Gamma Halo, or Installation 03, was part of the Halo Array, a series of ringworlds created by the Forerunners for the purpose of destroying the Flood. The Gravemind is a coordinating Flood intelligence, created after the parasite’s population reaches a critical mass. 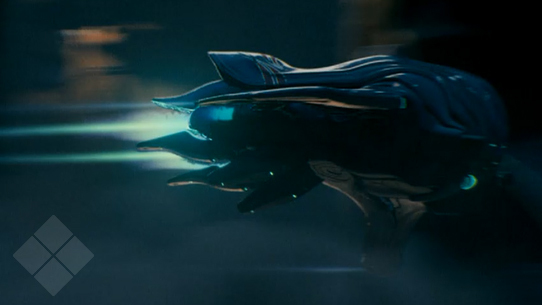 The Condor is long-range aerospace transport vessel equipped with a slipspace drive and developed by Misriah Armory. This week in Canon Fodder, we chat sentimental cinematics, #HUNTtheTRUTH, and sound the call for content. Plus, new entries in the Universe! This week in Canon Fodder, we book your tickets to upcoming Halo fiction, chat with a renowned janitorial engineer, and add new entries to the Universe.